You don't have to look like a wizard to support Gryffindor. 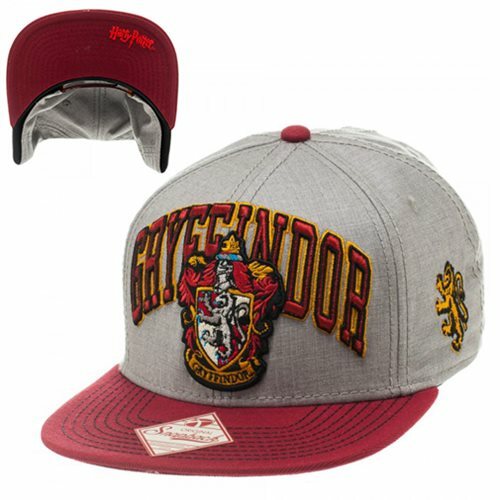 With this Harry Potter Gryffindor Snapback Hat, you can look good while showing off your favorite house of Hogwarts. Prominently featuring the crest of Gryffindor, as well as the house name on the front, and the Harry Potter logo under the bill, this hat will make your outfit pop while adding some Harry Potter flair. It is made of polyester and will fit most heads thanks to the adjustable snapback.